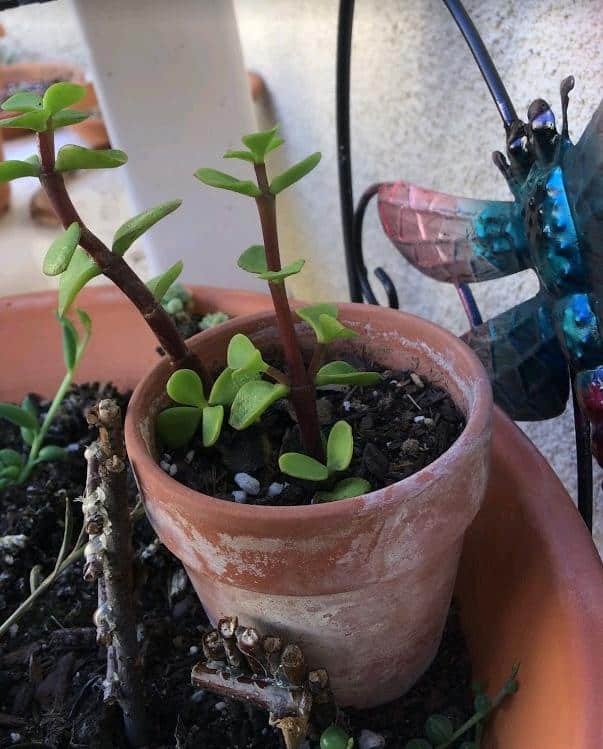 Portulacaria Afra, commonly known as Elephant Bush, are often mistaken for Crassula Ovata ‘Jade Plants’ because they resemble each other in a lot of ways. 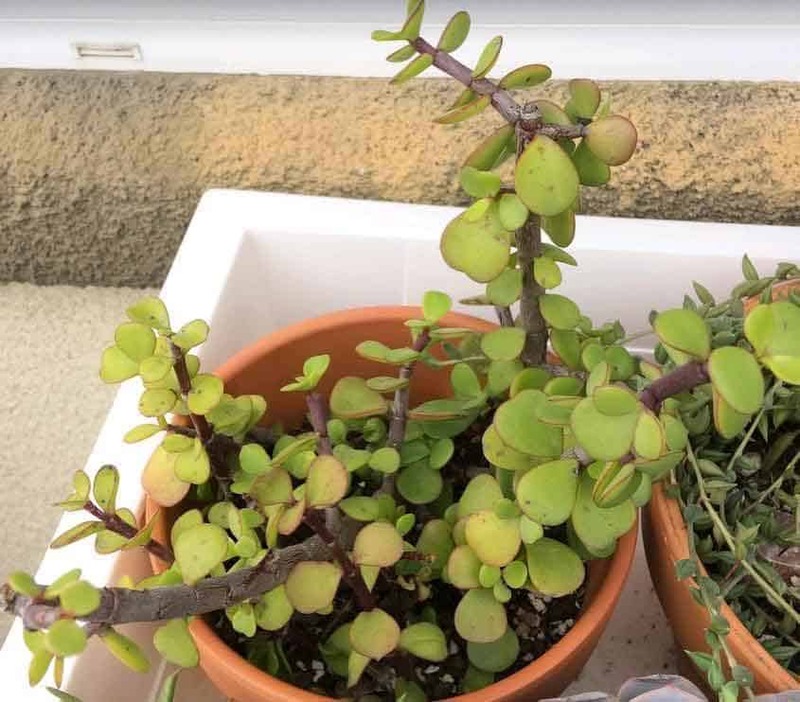 Although Elephant Bush closely resemble Jade Plants in appearance, they are not at all related. I am guilty of making this mistake when I first got a hold of an Elephant Bush plant. 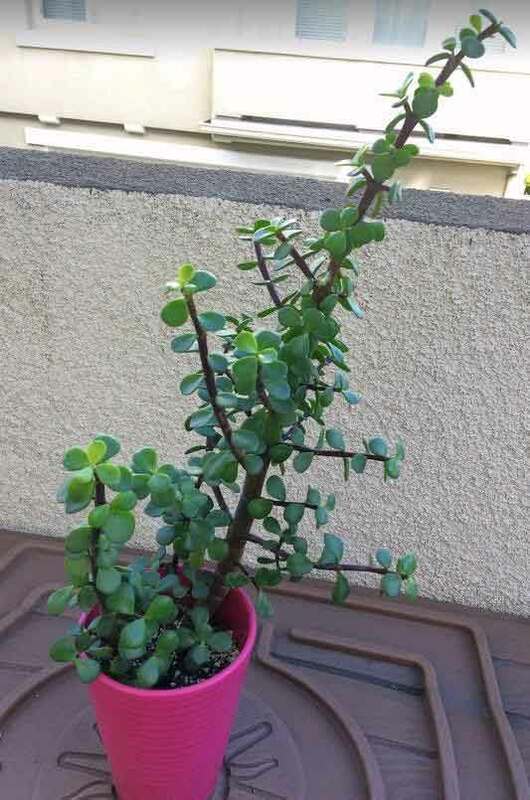 I thought I was purchasing a Jade Plant and to add to the confusion, the plant was labeled as Dwarf Jade’ on the pot. That’s because Portulacaria Afra is also referred to as ‘Mini Jade’ or ‘Dwarf Jade’ by some and is popular among bonsai tree growers. Portulacaria Afra-’Elephant Bush’ is native to South Africa. They serve as food for elephants and other wildlife in their native habitat and can grow up to 20 feet tall. The foliage of Portulacaria Afra is used as food in some native cultures. They have reddish-brown stems with glossy green leaves. They start out as a small bush and eventually grow tree-like. The stem gets thicker over time as the plant matures. These plants are very easy to grow and propagate. They are hardiest in USDA zones 9-11. They grow upright horizontally but can also spread out laterally and sprawl or hang, which makes them a great choice for hanging baskets. There are quite a few types of Portulacaria Afras. The most common one available in cultivation is Portulacaria Afra ‘Variegata’ – also known as Variegated Elephant Bush or Rainbow Bush. 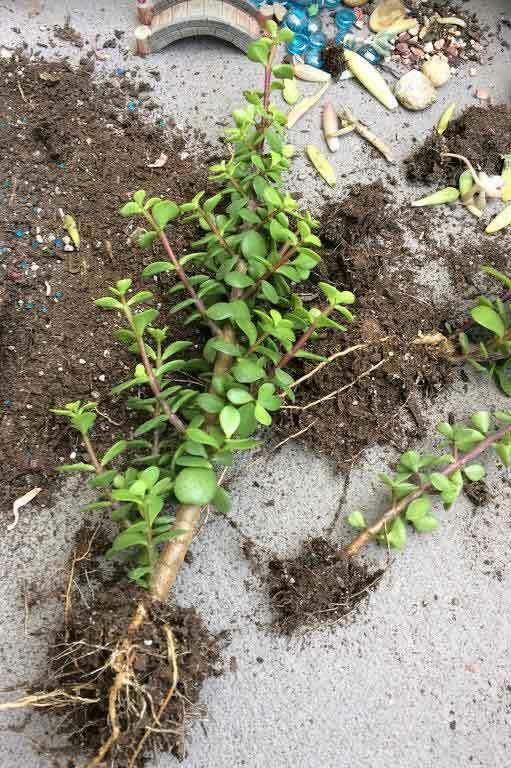 These have similar qualities and features as Portulacaria Afra but the leaves take on an attractive hue of variegated cream and green stripes. The reddish-brown stems in these are also more pronounced. These tend to grow laterally as opposed to upright like Portulacaria Afra. Care for these plants are similar and are listed in details below. Portulacaria Afra needs plenty of bright sunlight and can tolerate full sun. You may need to acclimate the plant to full sun initially. Mild sunburn may be expected under extreme heat conditions but otherwise, these plants can handle the heat. If caring for the plant indoors, provide the brightest light possible in the house. A south facing window will work best, but an east or west facing windows will also do. You may need to move the plant a few times until you find the right spot. Ideally, the plant needs at least 5-6 hours of light. If your area does not receive adequate sunlight or you have poor lighting at home, consider using a growlight so your plants can meet their lighting needs to grow properly, especially during those dark winter months. Here are some growlight recommendations that may help. Portulacaria Afra ‘Elephant Bush’ does best in areas that receive plenty of sunlight. They can tolerate partial sun to full sun, but they prefer bright filtered sunlight. They need to be acclimated to full sun or the leaves will get sunburned. If kept outdoors, place in a bright sunny location. Before moving the plant outdoors or increasing the amount of sunlight it receives, it is better to acclimate the plant to help prevent sunburn or sun damage. Slowly increase the amount of sunlight it receives until it is fully acclimated to the sun. Keep in mind that even when the plant is already acclimated to full sun, it can still get sunburned during a heatwave or intense heat. Sunshades are a real lifesaver for my plants during the intense summer heat here in Northern California where the temperatures can rise above 100℉ or 37.8℃. Here are some of my recommendations for sunshades and sun protection. Portulacaria Afra can tolerate mild frost and freezing temperatures as long as they are not for long periods of time. If you live in USDA hardiness zones 9-11, you can leave the plant outdoors all year long and they can even be planted in ground. If you have extreme winter conditions in your area, the best way to grow these plants are in containers. That way you can bring them indoors during winter or when there is forecast of frost or snow. If for whatever reason you cannot bring the plants in, there are ways to protect them from frost or freezing temperatures. You can use frost cloths or mini greenhouses to help them survive the cold winter. Here are some of my recommendations for frost protection. For more information on this topic, do visit my post on “Optimal Temperatures for Succulents to Thrive”. 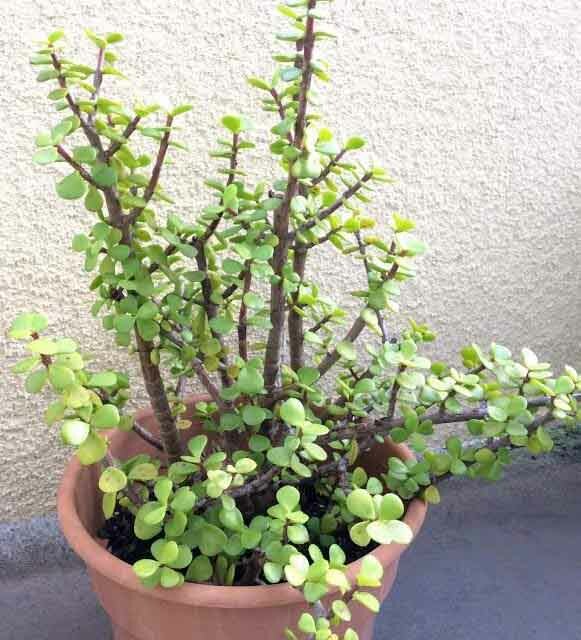 Just like with other succulent plants, Portulacaria Afra ‘Elephant Bush’ needs a well draining soil. I have been using a simple concoction that has worked well for my plants. I like to use a cactus potting mix combined with perlite for more drainage. I do not use exact measurements but eyeball it to about 2:1 solution of cactus mix and perlite. Others recommend using a sandy soil. This can be achieved by mixing cactus mix or potting soil with coarse sand (about 2:1 ratio). I get most of my materials from a local hardware store. You can also obtain them online at the touch of your fingertips by visiting this page. To read more about soil for succulents, please click on “Best Soil for Succulents”. Watering largely depends on the climate you live in. These plants are highly adapted to dry conditions and drought but they thrive when given sufficient water. There really isn’t a set schedule or formula on when to water succulent plants like these. I live in a very dry climate so my watering schedule is adapted to the dry conditions of my environment. 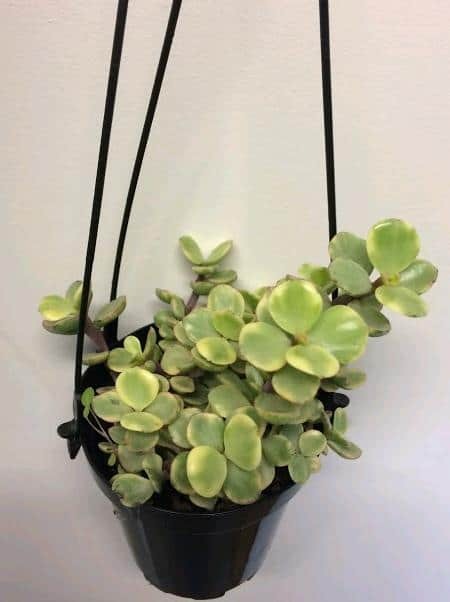 In the summer months, I water my Elephant Bush as often as every 7-10 days, sometimes more during a heatwave, giving the plant a good drink. I cut back on watering to about 10-14 days when the weather cools down. If you live in a humid location, you won’t need to water as much. And if you keep your plants indoors, you may not have to water as much especially if they are not receiving a lot of light. During winter season, I mostly rely on rainwater and hold back on watering altogether because this is when we get a lot of rain in my area. But if we don’t get any rain at all during winter then I water at least once a month or every 2-3 weeks. If you need further help with watering techniques, consider using tools like hygrometers or moisture meters to check for moisture in the soil and air. These tools are pretty affordable and can come in handy especially if you are unsure of when to water your plant next. Do check out these moisture meter tools if you need help in gauging your watering needs. 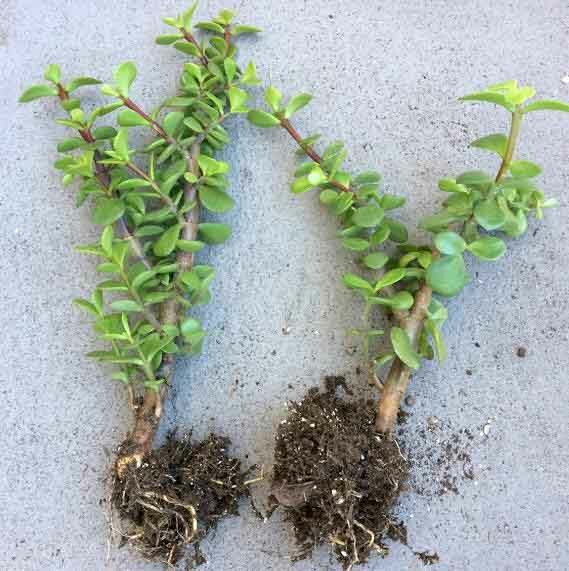 Portulacaria Afras are one of the easiest succulents to propagate from stem cuttings. For me, this is the easiest and fastest route to propagate. You can also root from leaves although this is not my preferred route. I do leave the fallen leaves alone when they land in the pot and let them do their own thing. 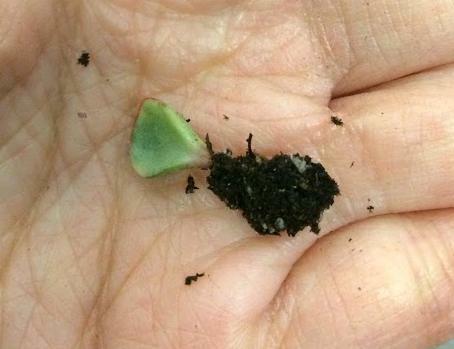 If you want to propagate from leaf cuttings make sure to use the whole leaf including the base to ensure success. I prefer using stem cuttings because I find it easier, faster and almost foolproof. I find leaf propagation a bit trickier and takes a lot longer. 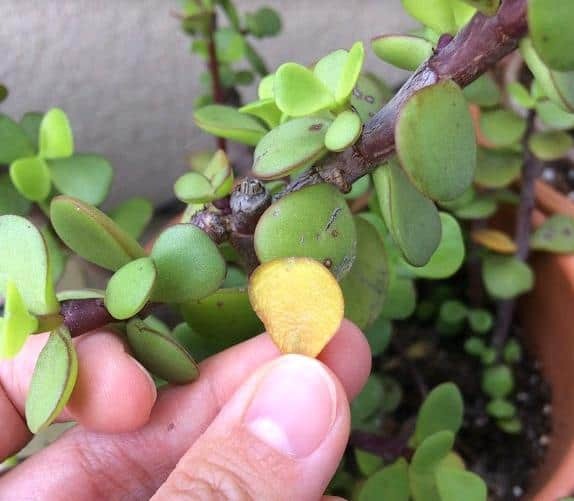 I found a couple of rooted leaves when repotting a Variegated Elephant Bush plant. Here’s some of my Elephant Bush grown from stem cuttings. Obtain a few stem cuttings or leaf cuttings and let them dry for a day or so. (Optional) Dip the cut end in rooting hormone. I do not really find the need to use a rooting hormone but some people prefer using it to speed up the process and also guarantee success. Once the cut has healed and dried, stick the cuttings in a well draining potting mix. If using leaves, you can either stick them in soil or lay them flat on the soil. Keep away from direct sunlight. Water the soil every few days or when it feels dry. After about two weeks or so, you will notice new roots growing. After about four to six weeks, the cuttings should be fully rooted and you will soon notice new growth developing from the top. There you have it. It is very easy to propagate these plants from stem cuttings. In fact, I have them growing everywhere and use them as fillers in a lot of my pots. I have also given a lot away to friends. 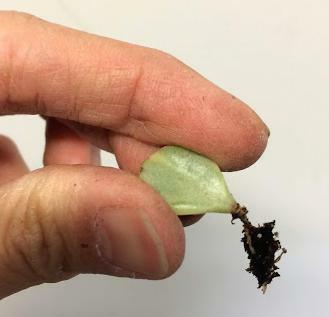 I wrote about how I have grown my succulent collection through stem cuttings here “Easiest Way To Propagate Succulents”. It really is such a rewarding experience to be able to multiply your collection and have them literally growing everywhere. I have them growing in different containers. All from stem cuttings. 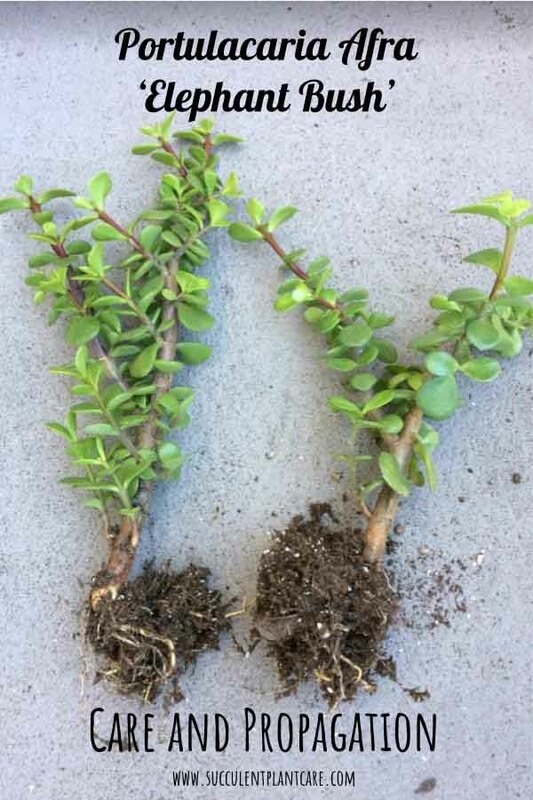 The most common reason for dropped leaves in Portulacaria Afra is watering issues. Underwatering and overwatering can both cause leaves to drop. During a drought or when underwatered, the plant will drop leaves to conserve its water storage. It is a survival mechanism. Along with dropped leaves, the leaves would also have a shriveled and flat appearance. When touched, the leaves will feel flat and deflated as it continues to lose its water supply. If you’ve kept your plant on the dry side and have not watered in a long while and you notice these things happening, give the plant a good drink of water and it should perk up in a day or two. You do not have to overcompensate by watering excessively. Simply give it a good drink and wait about a week and see if the top inch of the soil feels dry before watering again. The leaves can also fall when a plant is overwatered. But instead of a flat, shriveled appearance the leaves will be soft and mushy. The leaves can also take on a lighter, more translucent color. These are signs that you are overwatering your plant. Cut back on watering and allow the plant to dry out. You may also need to move the plant to a brighter location to help it dry out faster. The most common reason for yellow leaves is cultural problems. The plant may be sitting in the wrong soil and is showing signs of stress. The most common reason is the soil may not be draining fast enough and is too wet for the plant. 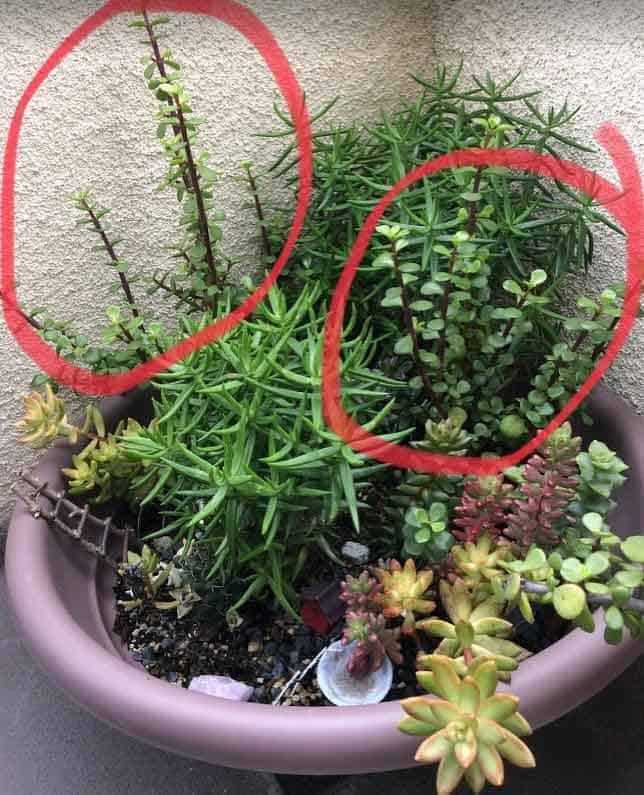 If you suspect this to be the case, remove the plant from its current soil and repot in a more suitable potting mix that drains well. Leaves can also turn yellow from lack of nutrients. If your plant is in a container that has not been repotted in a while (more than 2 years or so), the plant may be depleted of nutrients. Succulents in general are not heavy feeders. But nutrients in the soil do run out and after years of watering and having the water drain out of the pot, the nutrients will need to be replenished. You can either choose to repot at this point or feed with a fertilizer. When you repot you use fresh potting mix that would have the needed nutrients for the plant. If you do not wish to repot at this time, you can feed the plant. You can use a balanced houseplant fertilizer or one that is specifically designed for succulents and cacti. When feeding, dilute the fertilizer recommended in the package to half. Fertilizing once a month during the active growing season (spring time to early fall) should be sufficient. Here are some of the fertilizers that I recommend. I have written some useful information on soil and fertilizers for succulents. Check out my post on “Best Soil and Fertilizers for Succulents’’ to get some helpful tips and a load of information on these topics. In all honesty, I have yet to see my Portulacaria Afra bloom. Getting these plants to bloom in cultivation is rare, and even rarer for them to bloom in containers or when kept indoors. I have all of mines growing in containers outdoors. They produce clusters of tiny white, pink or purple flowers. To encourage blooms, make sure they are getting adequate lighting. Along with proper lighting and the right environmental conditions, they also need to go through a wintering period. This can be achieved by keeping them cool and dry in the winter months, with temperatures just above freezing between 35-44⁰F (1.5-7⁰C). I keep my plants outdoors all year and we get plenty of rain during the winter months so the chances of mines blooming will be slim, but I haven’t given up hope yet because anything is possible. 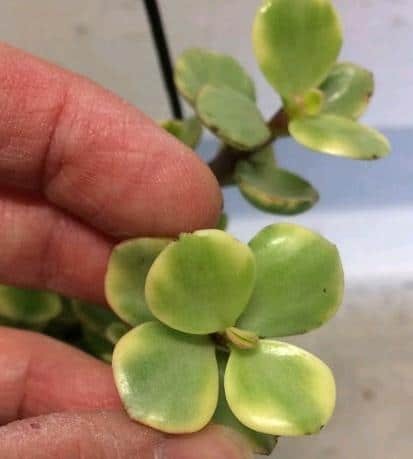 Portulacaria Afra ‘Elephant Bush’ foliage are edible and non-toxic to pets and humans. The ASPCA’s (American Society for the Prevention of Cruelty to Animals) website provides valuable information and a comprehensive list of toxic and nontoxic plants for cats, dogs, and other house pets. If you suspect poisoning, contact your local veterinarian immediately or the ASPCA Animal Poison Control Center at 888-426-4435. 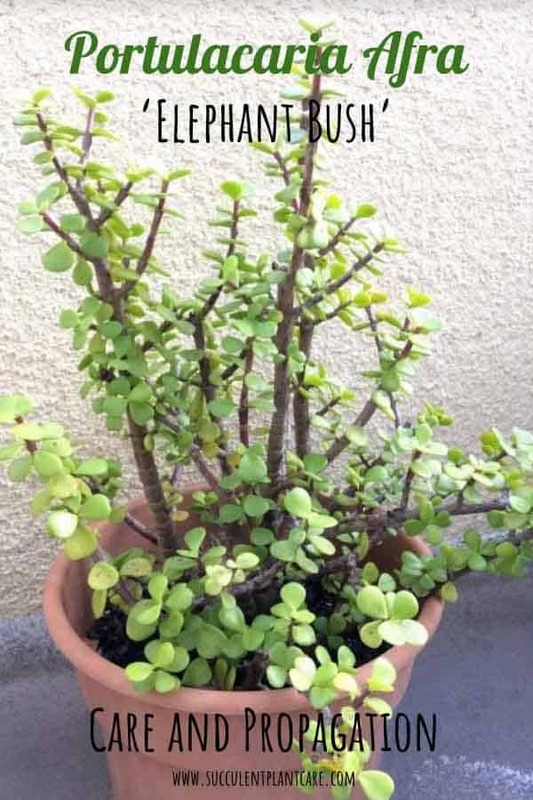 If you are looking for an easy, low maintenance succulent plant that will reward you for years and years to come, consider giving these Portulacaria Afra ‘Elephant Bush’ a try and you won’t be sorry. A mistaken identity led me to this awesome plant, and it has become one of my all-time favorites ever since. Where can you find Portulacaria Afra ‘Elephant Bush’? Check out my resource page for recommendations on where to purchase these and other succulent plants online.